I have mentioned a few times that I tend not to follow the idea that regional profiles define a distillery although I keep falling into that trap. Glendronach is a good example of how you can get caught out by this. They state they represent the true highland style – whatever that is. They are a highland distillery based within speyside that are known for maturing their malts in ex Pedro Ximenez and/or Oloroso Sherry casks. Something that certain distilleries in the speyside region are known for such as Macallan, Glenlivet, Glenfarclas and Aberlour. Just to further confuse you, speyside is a region within the highlands so distilleries such as Glenfarclas choose to label themselves as highland although they are within the speyside sections. 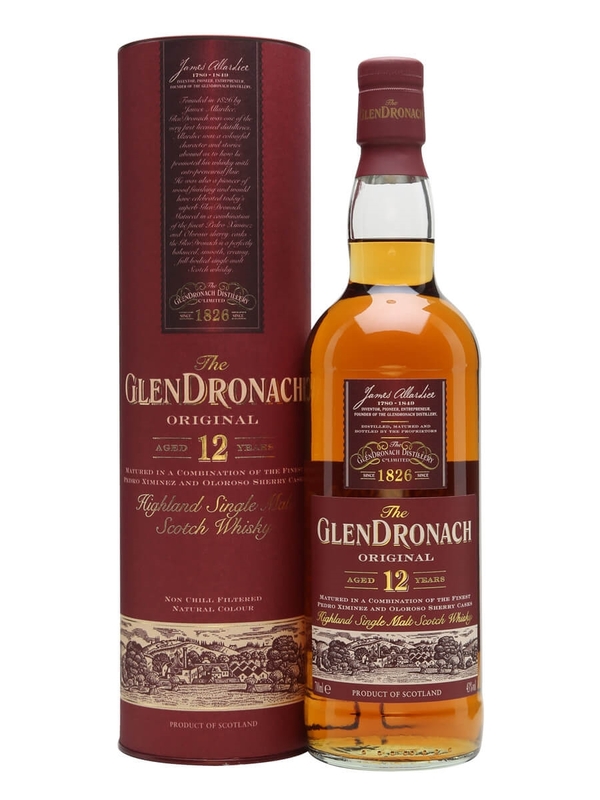 The Glendronach range spans from an 8 year old to 10, 12, 15, 18 and 21. A vertical tasting session on their core range should be educational. Anyway, onto this one then. Summary: This is a very drinkable malt. 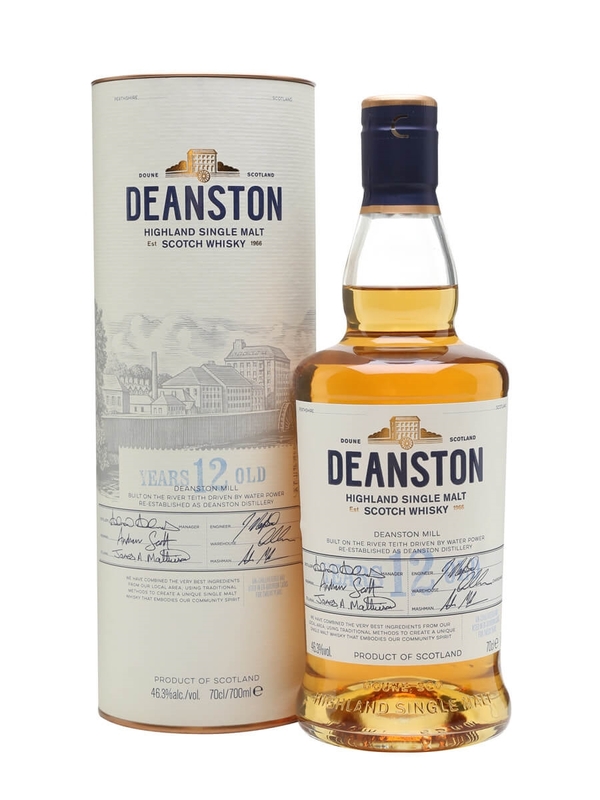 I feel quite lucky to have come across some decent malts recently (Deanston and Glengoyne) and this is up there too in terms of quality and flavour. The cask influence shows for sure in this and it is kept in check too. There are no hints of too much oak, bitterness and tannins. It is just pure fruitiness and nuttiness. The strength (43%) feels just right too, I did not need to add water to this as I was finding enough complexity as it came from the bottle. I will be working my way through the rest of their range.